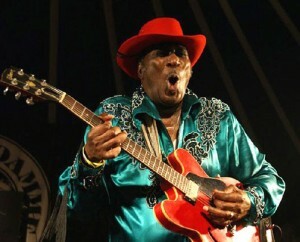 On Tuesday, February 16, The Blues Foundation announced musical legend Eddy Clearwater will be inducted into the Blues Hall of Fame. The ceremony will take place on Wednesday, May 4 in Memphis, TN. The Sheraton Memphis Downtown Hotel will host the event as it is being held in conjunction with the 37th Blues Music Awards. Congratulations, Eddy. We are very proud of you.